A learning Set, including bundle of talking materials, teaches over 2,000 words and various skills. It’s a comprehensive English learning tool set with the following advantages for your child. Laying a strong English foundation for children from 3 to 12 years old. Strengthens children’s English listening, speaking, reading, and writing abilities. Thematic teaching and story-telling makes English learning more relatable with everyday life. Let children easily grasp the script, pronunciation and meaning of English words. Establish English listening and comprehension abilities, while also training children’s observation and analytical skills. Revolution Slider Error: Slider with alias product-smart not found. 11 pcs of talking learning books in different themes and topics designed for children from 3 years old. 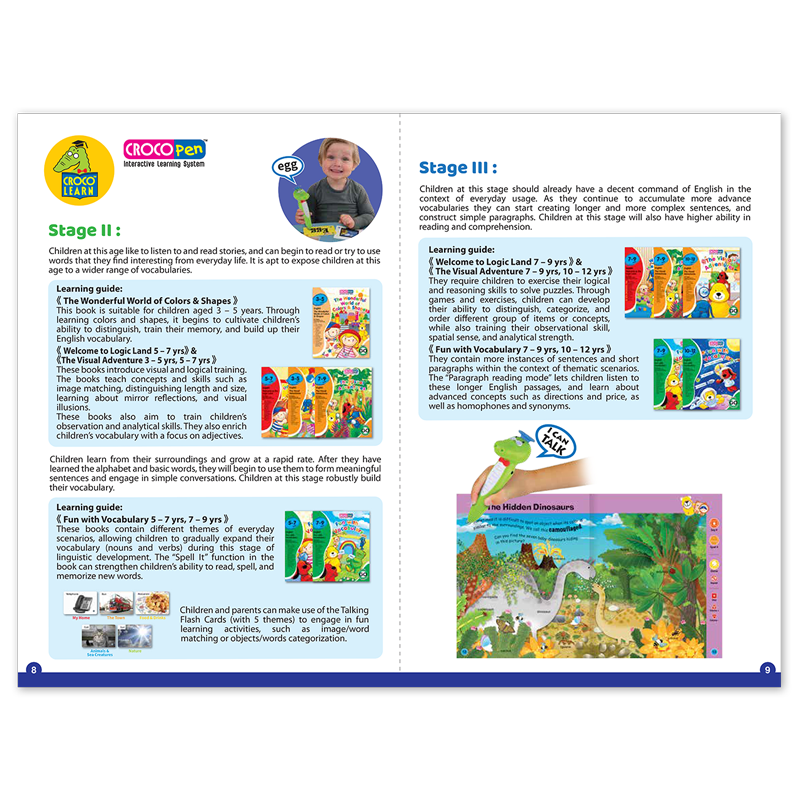 Each book features page after page of playful games and activities to make learning relaxed and fun. 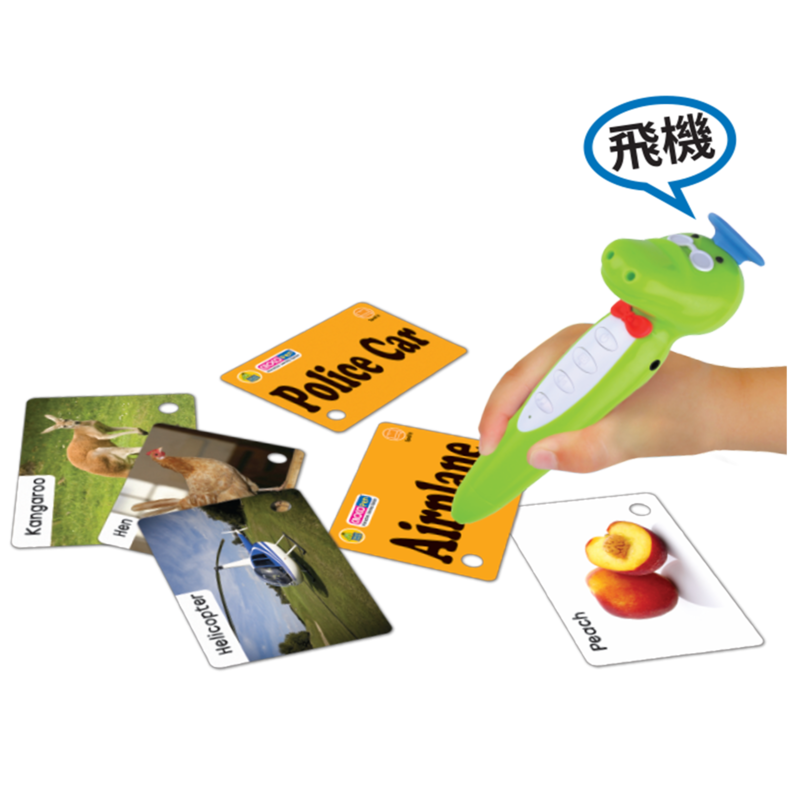 200 pictured cards with associated sound effects and spelling function helps build up your child’s vocabulary. 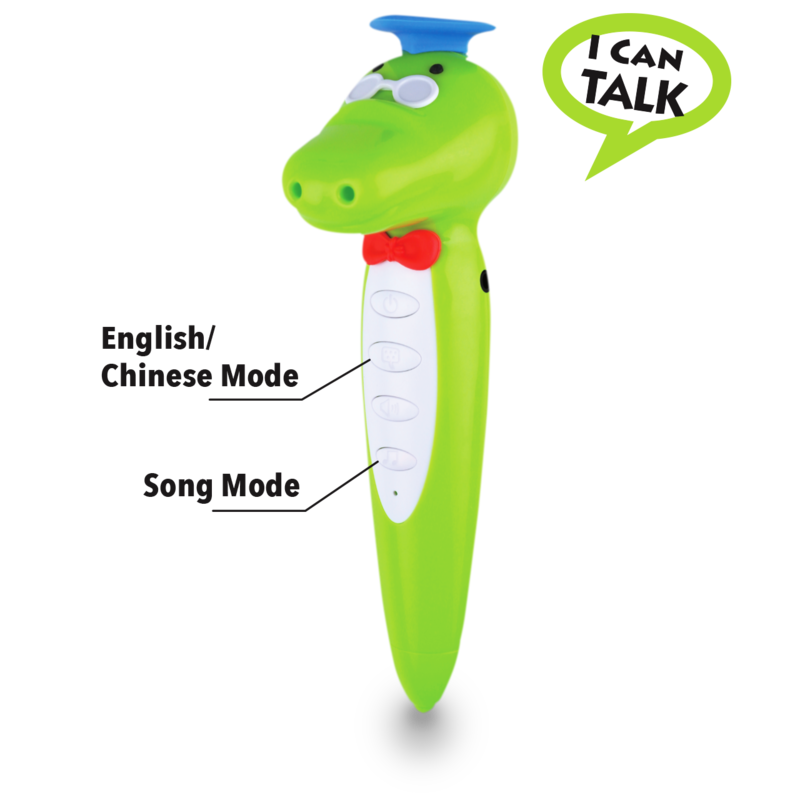 Under “Chinese voice mode” with CROCOPen™, your child can also listen to the Chinese pronunciation of each word. 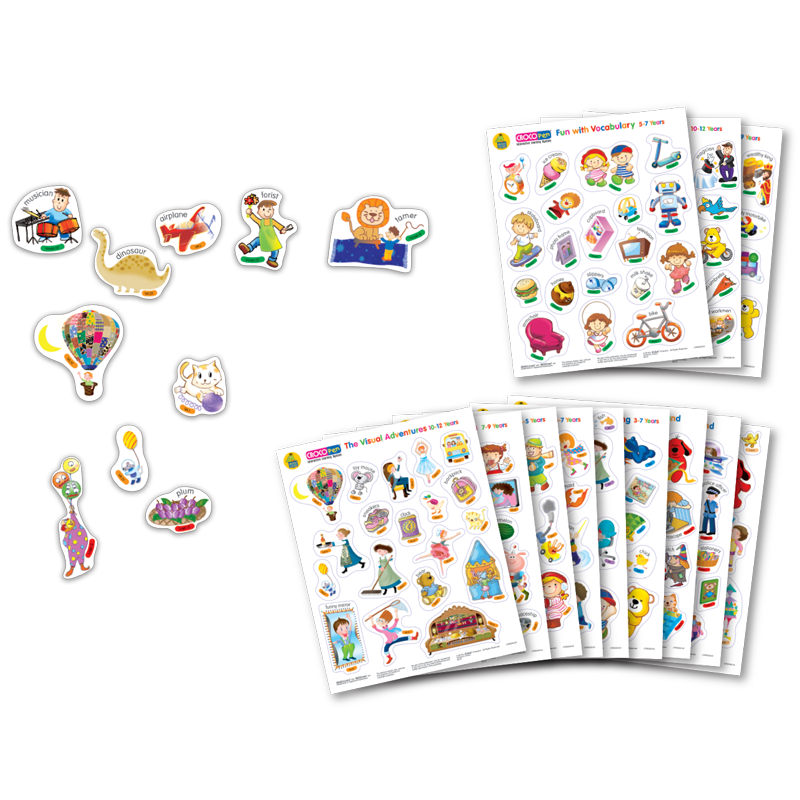 200+ pcs stickers teach vocabularies of daily objects.